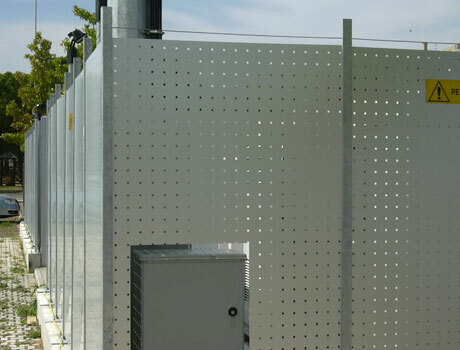 Coverings for air conditioning systems with expanded metal net panels. Ventilation is favoured by the high percentage of empty space in the net. The particular structure of the meshes, the 45° angle and an orientation of the panel chosen at the time of installation, makes it possible to regulate and direct the visual shield. This is useful to darken vision partially or completely from below, for example from a road or vice-versa, or from any direction required.